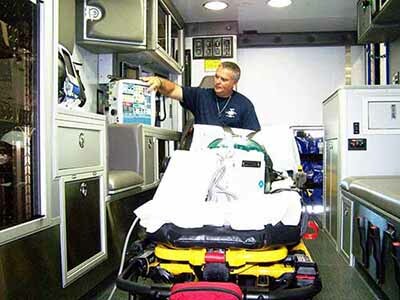 Advanced Life Support (ALS) crew performs a more detailed assessment of the patient's condition in pre-hospital emergency and inter-hospital non-emergency medical services according to state and local laws. The paramedic or PHRN crews perform all the Basic Life Support procedures and are qualified with advanced lifesaving skills to administer medications that will stabilize the patient’s sick or trauma condition. Advanced medications to treat cardiac patients, diabetics, overdoses, allergic reactions, breathing emergencies, cardiac dysrhythmias, shock, stroke, and seizures. Critical Care Paramedics are qualified by the state and local laws for pre-hospital and inter-facility medical services. They provide the skills of a paramedic with advanced training to maintain the medical care of critically ill patients who require transport for specialized care. Basic Life Support (BLS) crews are certified by the state laws as an EMT–B to make ongoing patient assessments for pre-hospital emergency and non-emergency medical care. The Basic Life Support skills maintain the patient’s respiratory and circulatory conditions and assist more qualified personnel. 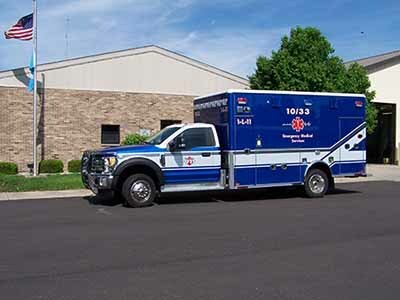 Stand-by ambulance service is available for community events, sporting events and parades to ensure patient safety that will prevent life-threatening injuries.